Texas is a big potential market for cannabis, but in the state that bleeds blood-red Republican, it has taken a lot longer to get any form of access. Like California, Texas is a big potential market for cannabis. But in the state that bleeds blood-red Republican, it has taken a lot longer to get any form of access, even medical, on the books. Now the state is slowly dipping its toes in the pond of cannabis oil, but is it far enough? That stubborn streak of independence may be a good thing in many respects, whether they be fiscal policy or protecting the rights of citizens to bear arms, but the state has also dug its spurred heels in against progress in cannabis law reform. 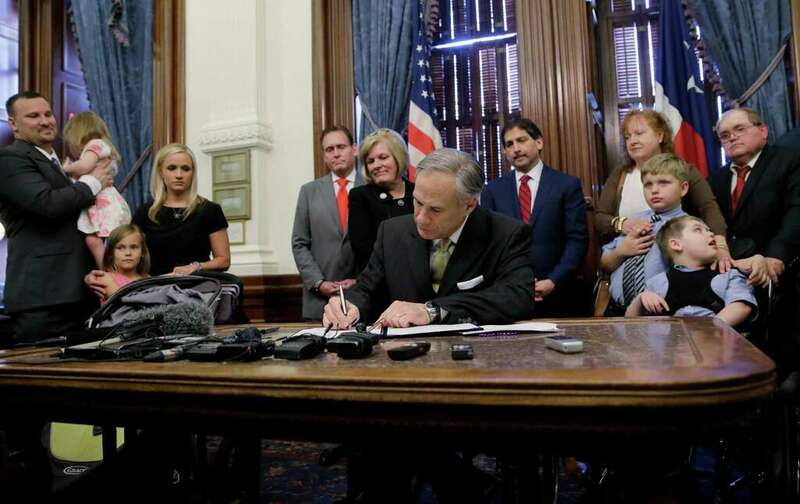 Finally, Texas might become known for a new kind of oil as Governor Greg Abbott finally loosened the reigns and signed off on the 2015 Texas Compassionate Use law. One of the most restrictive laws in the US, it only allows for CBD oil produced from specific strains with virtually no THC. For many, the victory signals a turn in the tide and an important first step. For others, like the child-patient-turned-activist Alexis Bortell and those with conditions that are not helped by CBD alone, the law doesn’t go far enough. The law also has wording problems that leave a lot to be desired. The biggest is that it requires doctors to prescribe the oil, rather than simply recommend it. Doctors cannot legally prescribe cannabis in any state, due to federal law. But it is a first step, nonetheless. For recreational cannabis enthusiasts, Texas is still one of the worst places to light up, as officers aggressively harass anyone they even suspect of having the plant. Even with such a limited market, entrepreneurs and investors are paying close attention to how implementation of the law progresses in the Lone Star State. MedMen co-founder and CEO Adam Bierman says that the challenges are steep to get players in the field, but not insurmountable. What you have is the big money center banks won’t bak the industry. They won’t participate at all. I know it’s a combination of reputational risk that still exists for these large institutions that have all different types of money that they’re banking and that they’re investing, and then it’s also from a compliance standpoint. MedMen provides management, consulting, and capital investment through a private equity fund. With no established cannabis companies in the state, outside investors will make up the bulk of the newborn industry, if they get the green light. In Gunter, Texas, one local company called AcquiFlow is already working on getting into the market, but seems to be the lone player as of yet. With such a limited market, the number of companies chomping at the bit to expand to Tumbleweed Town, USA are far fewer than other lands of green. That isn’t to say that there is no opportunity. Should the program prove effective, and the laws expand to whole plant medical use, established companies would be poised to have a hefty first slice of one of the largest consumer bases in the United States. Should, God willing, recreational laws pass eventually, that slice would become even bigger. As a Texan born and raised, I know the industry could have an enormous impact for the state. The current economy is highly dependent on the price of oil, and whole towns can, and have gone through repeated cycles of boom-and-bust as the price moves, including my own hometown. Bringing in another new industry, especially if recreational use were to come in play, would swell the economy with thousands of jobs, tax dollars, and people able to earn a living without limping on the crutch of government assistance. For a state that wants to be as independent as possible, and holds limited government in high regard, cannabis should be a no-brainer, but for right now, the no-brainers are still in office. Support for cannabis reform has found a surprising backing from conservative Christians, as epitomized by staunch Tea Party member and conservative Christian Republican, former Longview Representative David Simpson. I don’t believe that when God made marijuana he made a mistake that government needs to fix. I said that really to address my fellow Christians. Timothy 4:4 says, ‘everything God created is good, and nothing can be refused if it can be received for Thanksgiving.’ Now that doesn’t mean everyone should use it, it doesn’t mean it’s not dangerous. Rattlesnakes are dangerous, but we eat ’em for meat… We don’t need government to regulate a plant. Do you live in Texas? Should the state open the doors to medical or even recreational cannabis use? Would the new industry be a boon to the economy where you live? Share your opinion on social media or in the comments below.